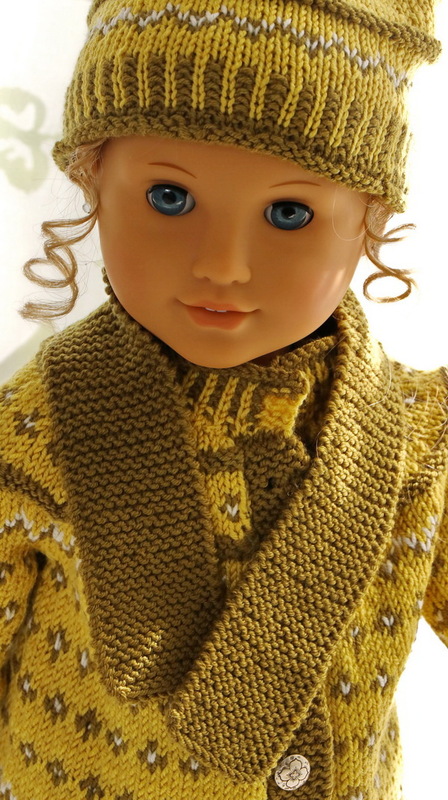 Now that the weather is getting colder it is time to start thinking of a new winter wardrobe for your doll. 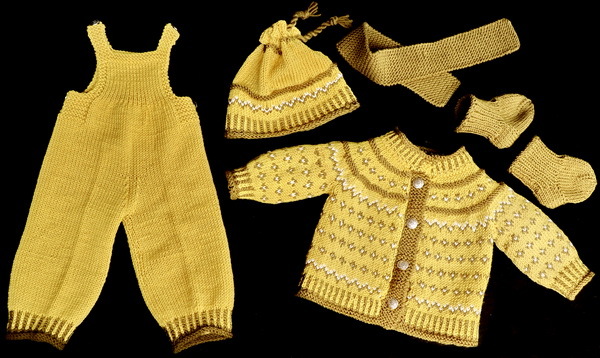 I have knitted the clothes in yellow and green. 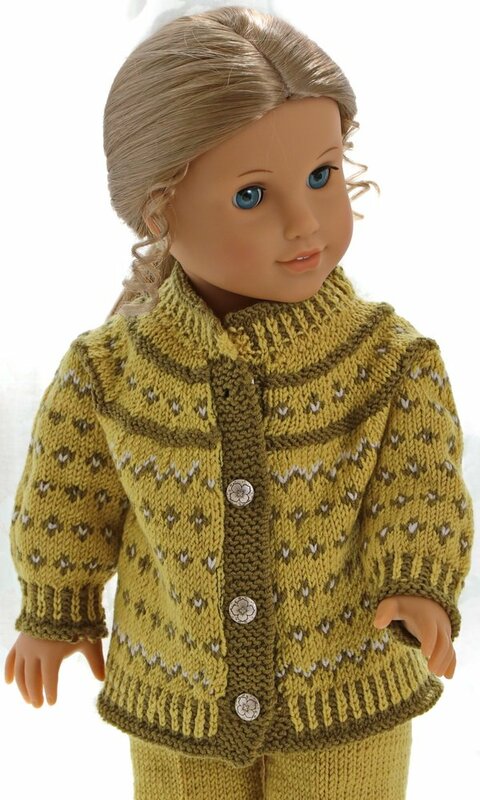 The clothes are knitting in Thin Merino Wool from Sandnesgarn. 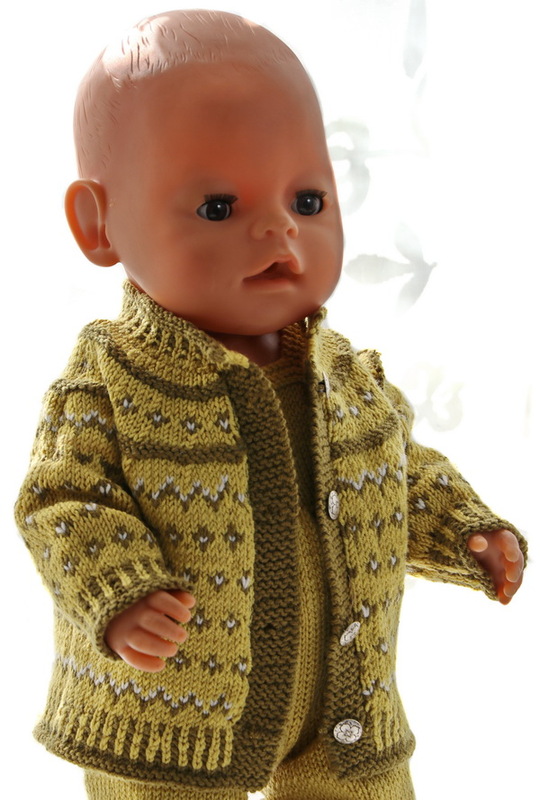 It is beautiful for dolls clothes. However, any 3 ply yarn will work. I started knitting the sweater. It is open along the front and buttoned front. 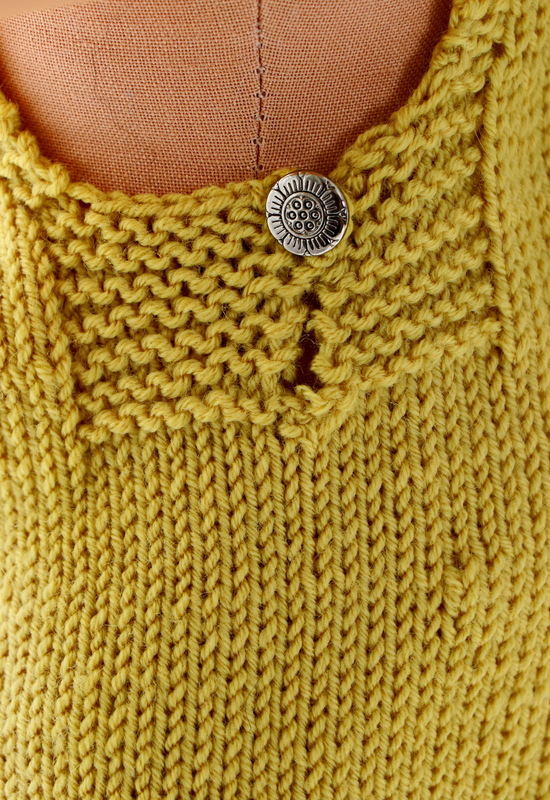 The neckband is knitted in a rib. 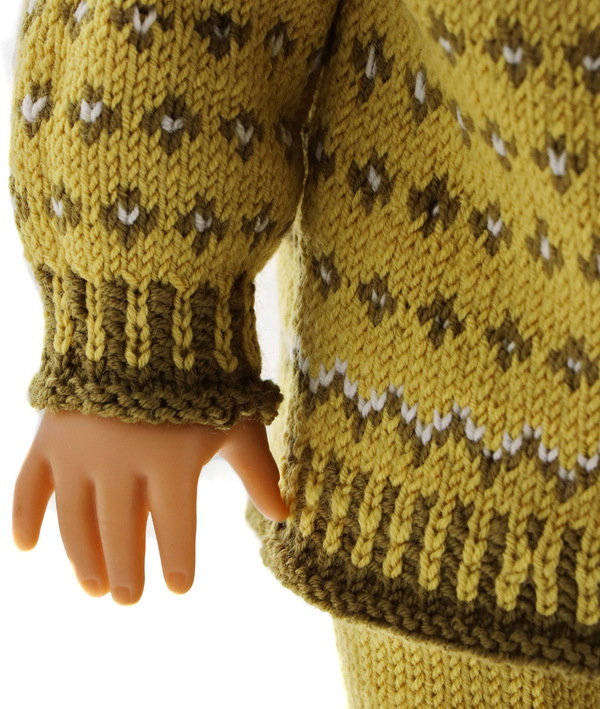 All ribs are knitted in 2 colors. ... and think it worked out very nice. Sleeves: Cast on 28 sts in green and knit 1 row. On next row knit the sts onto 4 double pointed ndls. 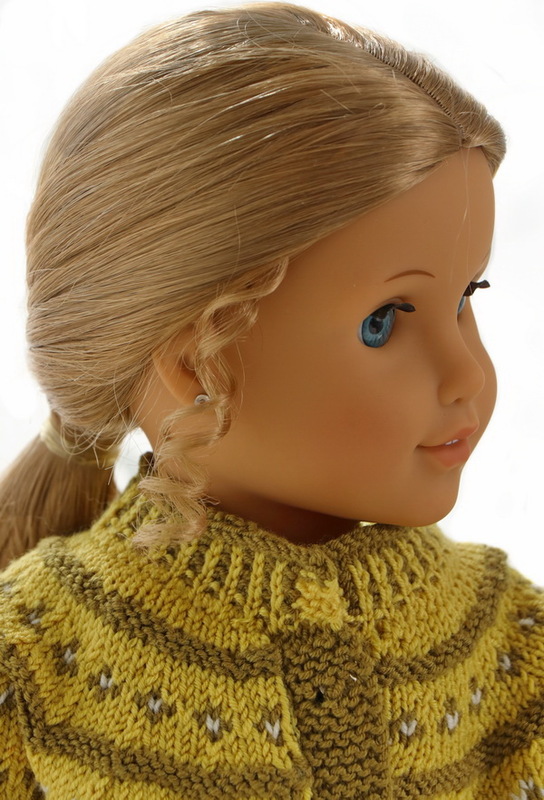 (7 sts on each ndl) and continue knitting in the round. 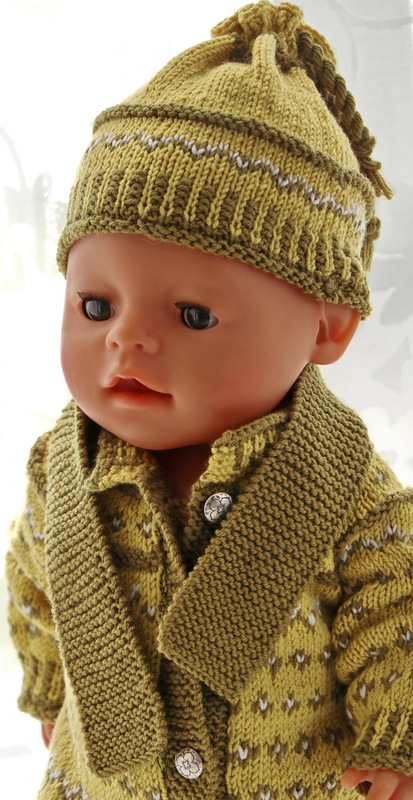 2 rows st st in green altog before knitting rib like this: k1 yellow, p1 green alternatively across row knitting 6 rows altog. Continue knitting 2 rows st st in yellow. On next row . The lovely cap matching the sweater is good for cold days. 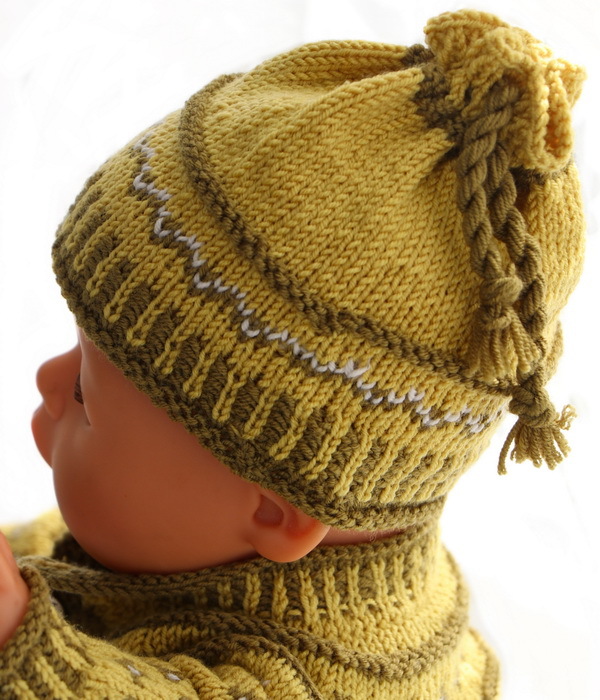 The cap has the same rib edge as the sweater and it has the same pattern repeats as the sweater.
. It is bound together at the top with a chord. Sewing the top of the cap will hold it more firmly. 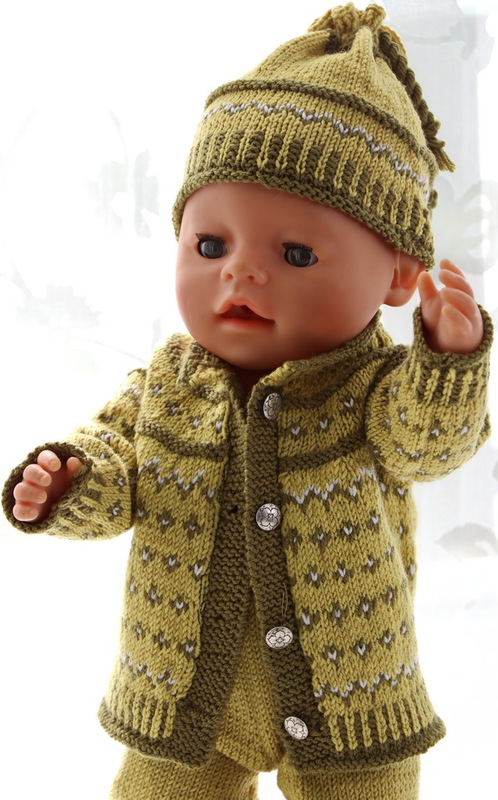 Together with the sweater and cap I knitted a lovely and warm pants for cold days. 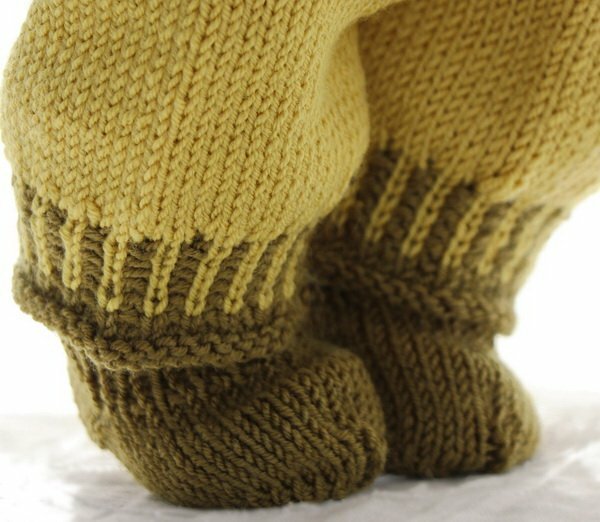 The pants are knitted in yellow but have the same rib in green and yellow around the ankles. ... buttoned on the shoulders. which I knitted in garter stitch. ... to make this outfit complete.